You know what they say, look good on the outside, feel good on the inside. The smallest sentiment can go far when it comes to dating and choosing what to wear. It’s cause and effect—when you look good, you feel great, thereby projecting positive vibes all night long. So, whether it’s a first date, fifth date or the hundredth date with your long-term significant other, here are six outfit ideas that will have you excited to show off your style wizardry on three different types of dates. Read on to see what outfits fit both your style and the occasion. If you like testing the waters with the greatest hits of the season mixed in with your trusty closet staples, a reservation at the latest hotspot is the time and place to show off your merging skills. By building your look around a luxe jacket such as a bold suede bomber, you won’t need a lot of other flair. 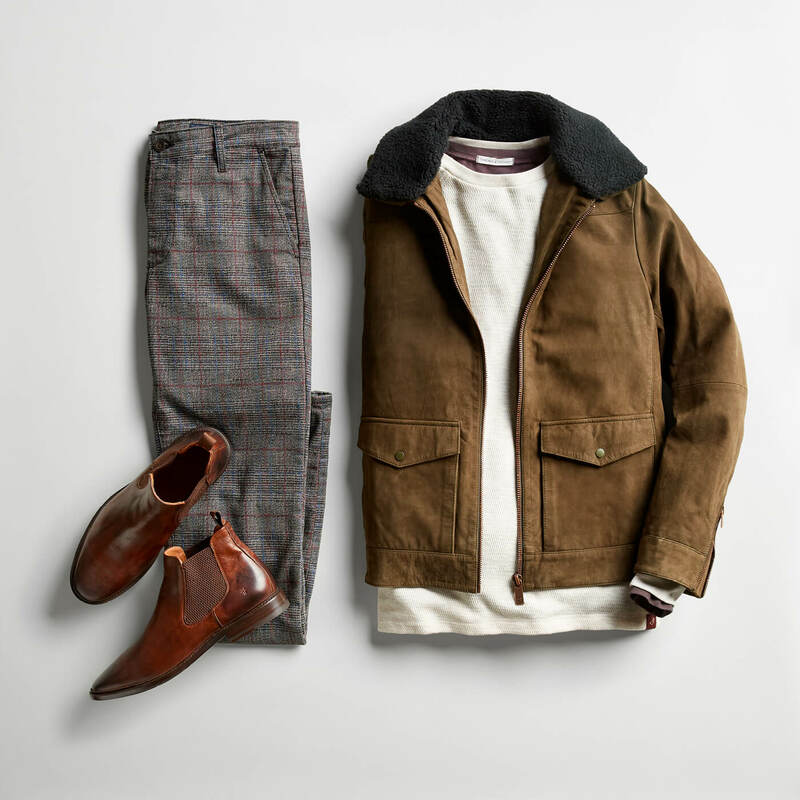 A few solid layers (that fit impeccably) up top paired with suit slacks and sleek boots let your outerwear hero piece shine while reinforcing your sartorial skill set—your date will definitely notice. 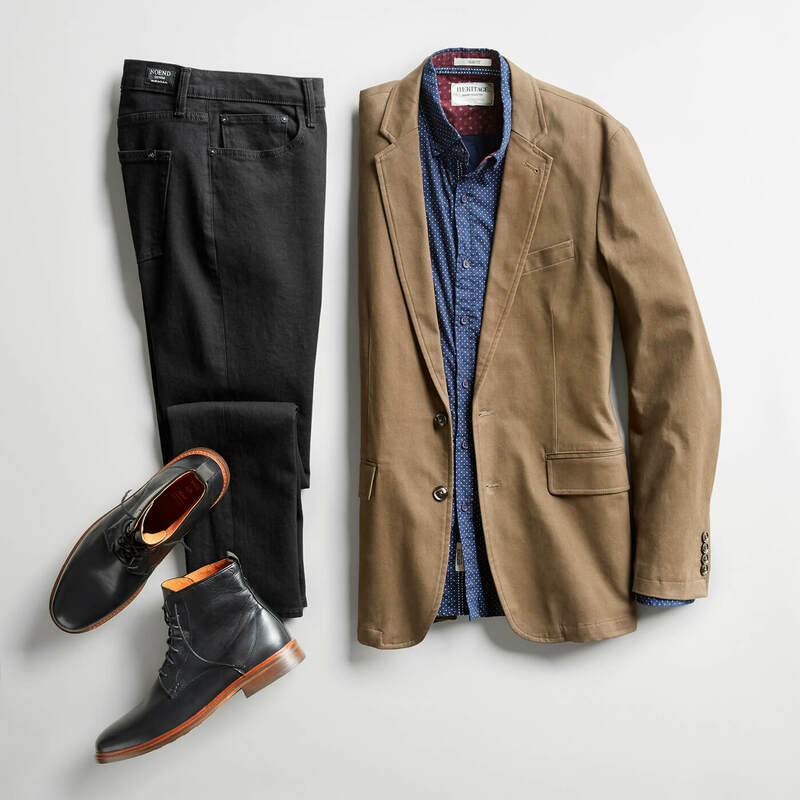 When combining three wardrobe workhorses, you’re essentially creating a winner’s circle. Get more mileage out of a 9-to-5 blazer by taking it for a spin at night. It’ll seem as if you put in the extra effort (because you did), especially when you wear a collared shirt underneath. To make sure your look reads more off-duty than office-ready, embrace a printed button-down and finish off the look with nightlife staples: slim black jeans and black boots. It’s daytime, so your outfit will be seen—every part of it—but you got this. Start by taking your normal Saturday look up a notch. 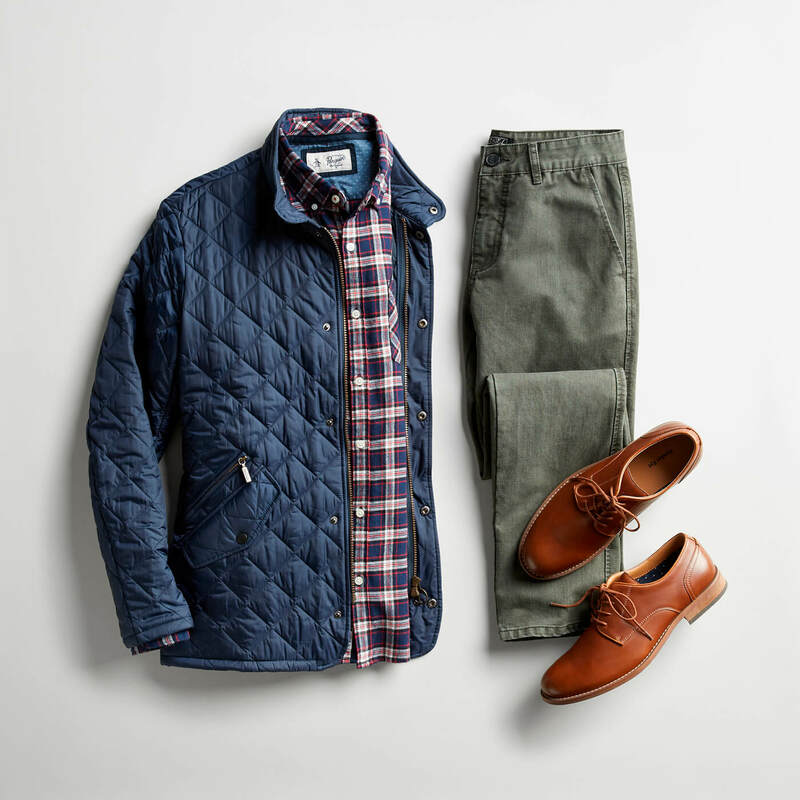 A plaid shirt goes a long way; a flannel option goes even further if it’s cold and outdoor seating is the only option. Experiment with colorful chinos, but keep the color in the soft zone—nothing you’re wearing should be too loud. You could go the sneakers route, but why not raise the bar with a pair of oxfords? You just may be the best-dressed person in the place. Since you’re heading out on the early side (possibly after work), your best bet is to rely on the classics. A sweater and jeans combo wins every time, and if you choose carefully, they might even fit into your office dress code—so you don’t have to change at all. Even if you only end up wearing it for half the night, you still want your last piece to count, so choose wisely. 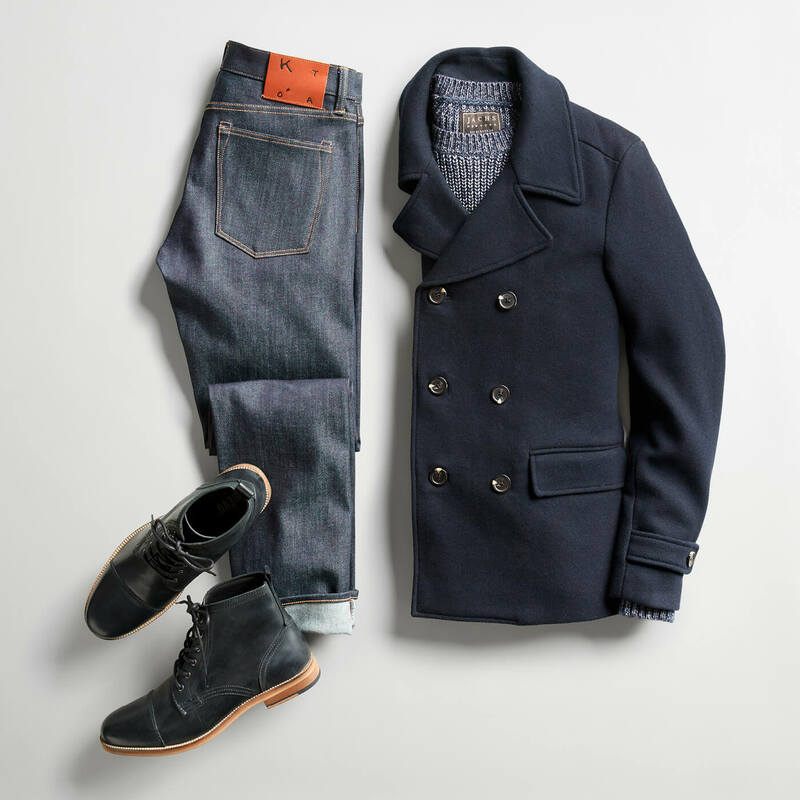 A well-made peacoat fits the bill perfectly, plus it has a cool backstory in case you need a conversation starter. You’re probably thinking that this is a no brainer—just throw on the usual suspects: a t-shirt and jeans. However, this is actually the time to step up your style game. We’re not suggesting a suit (you don’t want to be overdressed), but instead, take your closet’s heavy hitters out for a spin. 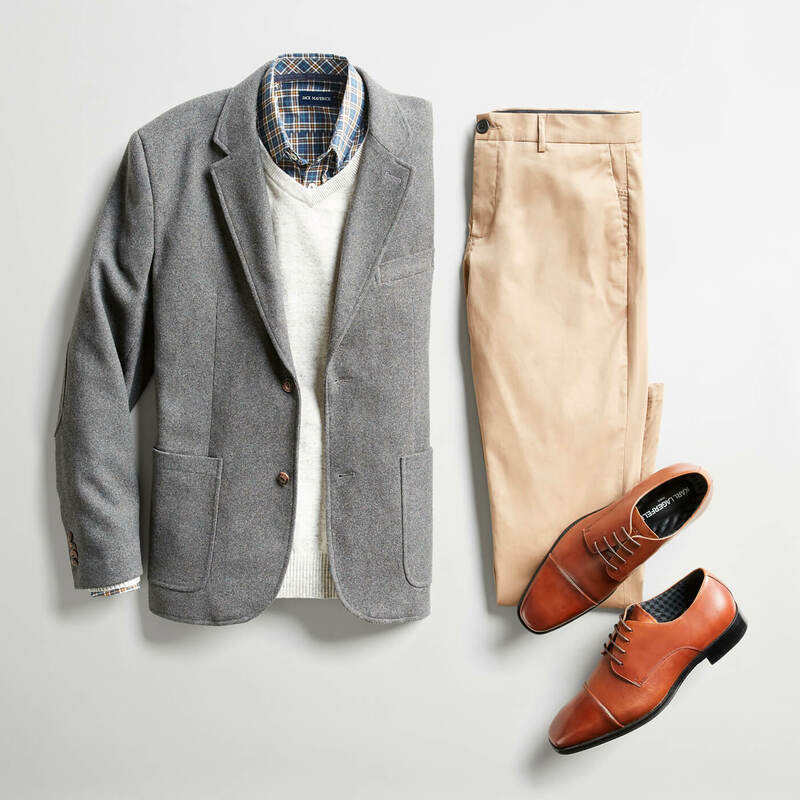 Try this go-to outfit equation: blazer, sweater, dress shirt, chinos, oxfords. You already appreciate how these pieces look on you, and now, your date will too. Time to hit the couch to binge-watch some rom coms (date’s choice, of course). This look strikes a fine balance of being comfortable without looking like it’s laundry day. Enter the altheisure movement. A t-shirt paired with some type of jogger pant or chino is a relaxed look, but without the frump. 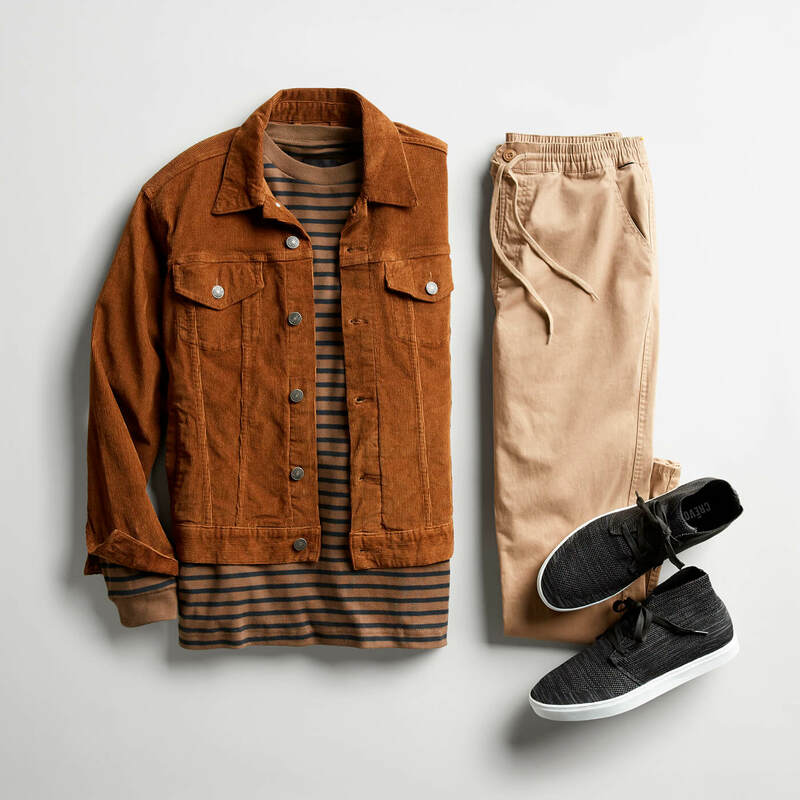 Slip on your favorite kicks and add a jacket that’s minimal but not boring as the finale. There you have it—six date-approved looks. All you have to do is ask your Stylist to keep you looking sharp, wherever you go.